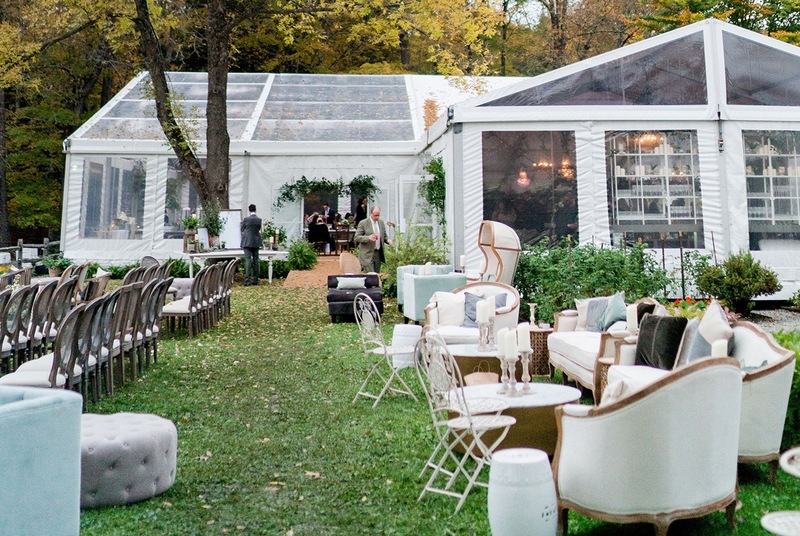 Getting inspiration for your next event is no easy feat. You may turn to Pinterest, fashion blogs, and even glossy magazines to get the best table décor ideas. 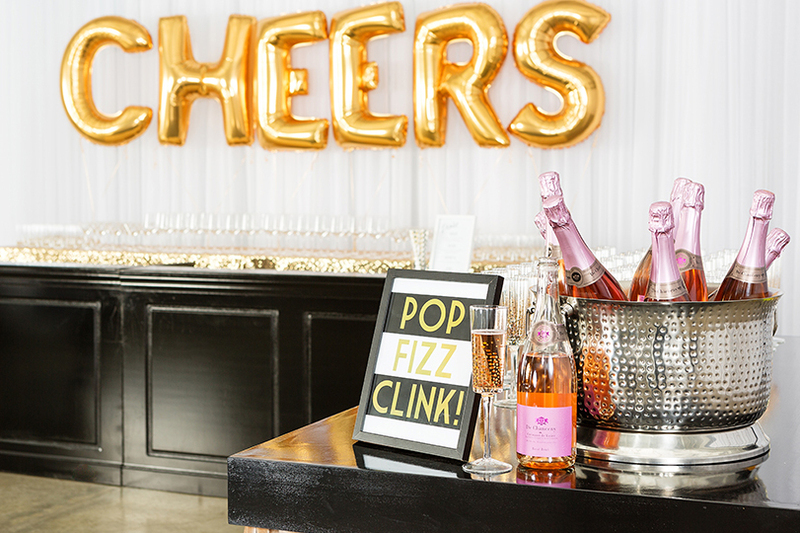 But no matter what event you throw—whether an intimate dinner party, special occasion, or wedding—you always want to blow your guests away. 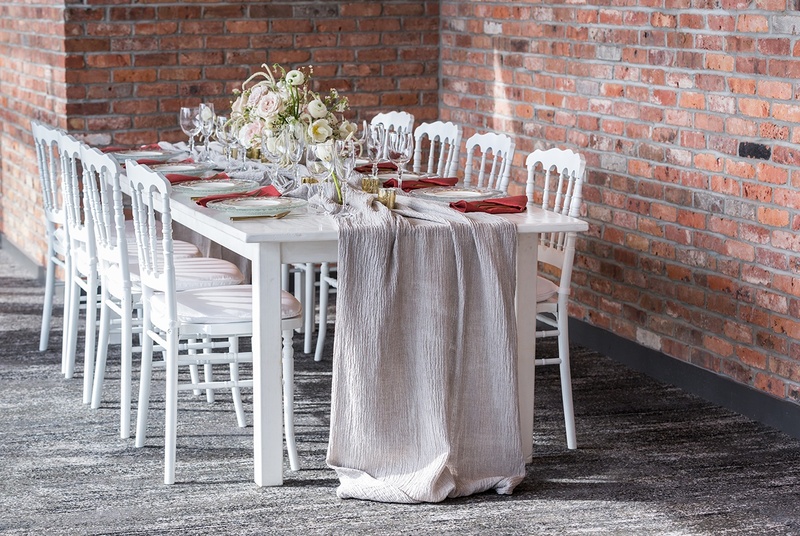 And with new collections consisting of heirloom china, gorgeous linens, and refined stemware, PEAK Event Services brings style and depth to your personal tablescape. Set the mood of your table with these four looks from PEAK for a day truly worth remembering! Appeal to your friends’ minimalist side by throwing gorgeous summer 3-course dinner party! Get super cozy and make your guests feel at home by paying close attention to detail. 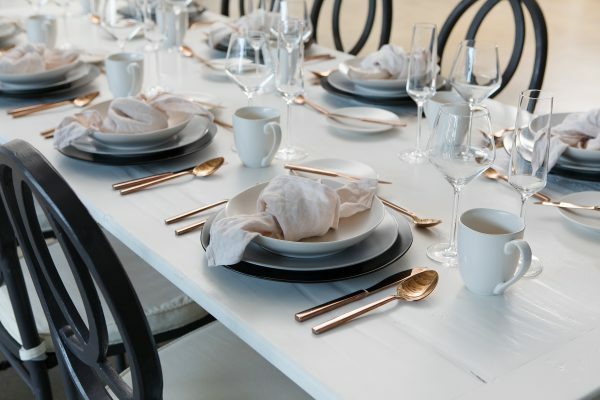 Inspired by the Mélange Collection and European trends, their modern organic forms create a stark contrast between light and dark, sleek and natural, to achieve a clean composition—complimented by rose gold flatware and Pure Stemware. To create the look, set the Heirloom China Charcoal Chargers, Smoke Heirloom Dinner plates and Linen Heirloom Bowls atop a white wooden farm table. 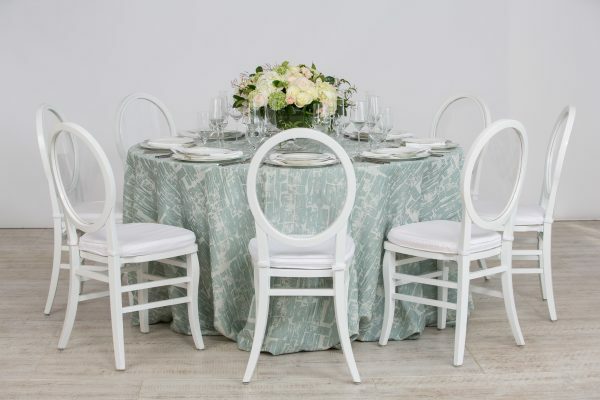 Tie your napkins into a lover’s knot and tuck in gray infinity chairs for finishing touches that are sure to stun your guests forever! 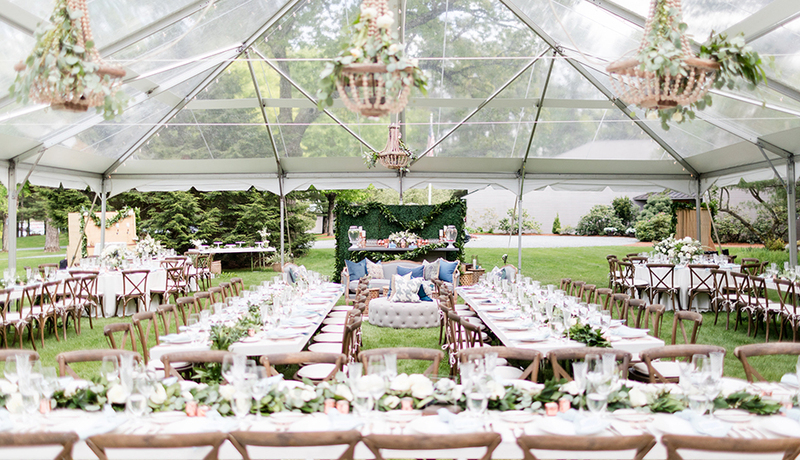 Throwing a bridal or baby shower luncheon? 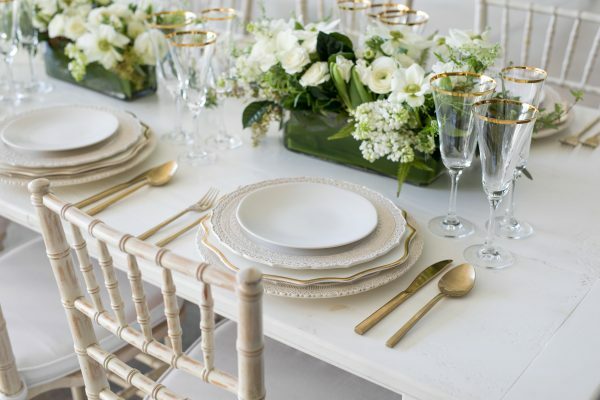 Create a white and whimsy tablescape by mixing cream, white and gold hues with hints of greenery to really make your tabletop pop. The Finezza Cream Chargers and Dinner plates pair perfectly with the Cheerful Gold Chargers, Arezzo Gold Flatware and Charlotte Gold Rim Stemware. Go all out for formal occasions with the Spring/Summer Barely There Collection! Shed light on a more exotic type of table setting by illuminating layers of bold décor (and your loved ones’ faces). For this theme, the Finezza Lace Charger is used again—this time in ombre charcoal—as a placeholder for cream hemstitch napkins, delicately folded in a pocket, to insert dinner menus. Unlike the other looks, here we use a rose petal metallic gauze linen, as well as grey Moroccan tumblers, for some ethnic flair. Add pillar candles in varying sizes to your table and—voila—an unconventional look that will commemorate any special event. You won’t need to remember your something blue with this. 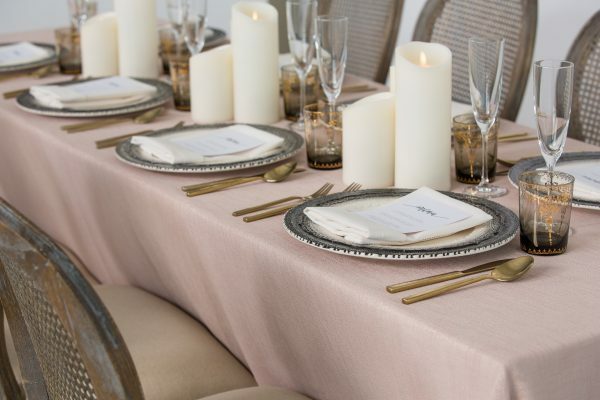 With pops of blush, dusty blues and soft creams, this tabletop is perfect for a summer soiree, nighttime affair or coastal wedding. 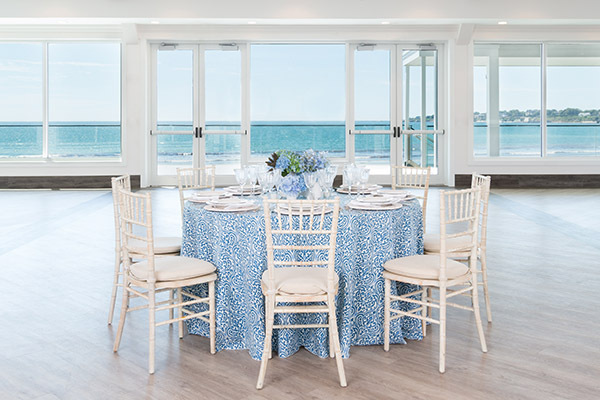 Zero Back Chairs with their crisp, clean white lines accentuate the beauty of this subtle table. With its deep inventory, commitment to innovation and unmatched service offering, PEAK is truly an event market leader. They believe great design should be accessible at any price point and offer unique home décor that makes a lasting impression.